The BroadPort 8-port uPCI card includes a DCE/DTE switch for maximum flexibility, has a 1U 19" rack-mount interface and provides RS-422 connections via "Sony DB9" (SMPTE 207M) connectors. There is no need to add further adapters as you would with traditional products. 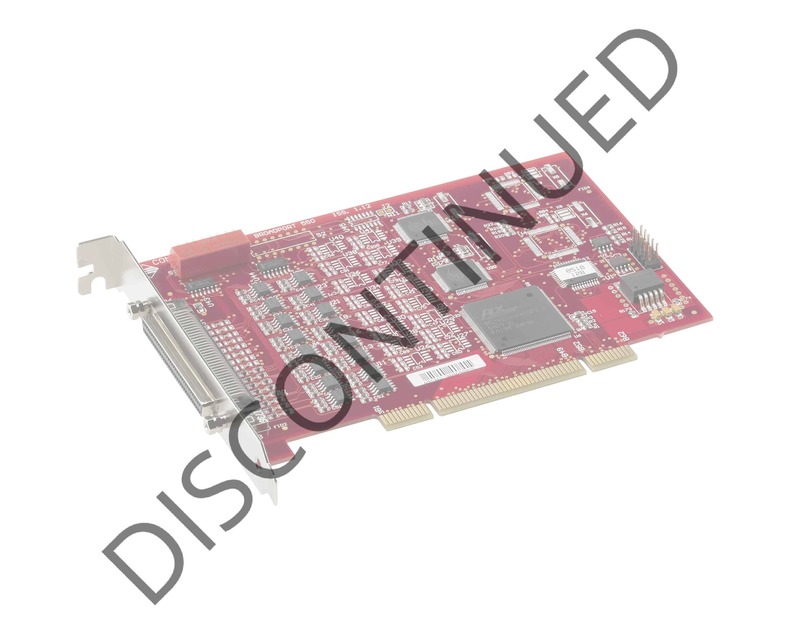 BroadPort 550 uPCI Card The universal PCI card (PCI and PCI-x) was developed from the popular RocketPort 550 and provides a low-cost serial expansion solution, delivering the highest performance and reliability through industry-standard 16550 UART technology. Each of the ports exceeds the speed requirements of the SMPTE 207M standard and can be set individually to DCE or DTE. Package Dimensions 9.5" x 8" x 3.25"
Call +1.763.494.4100, or submit your question online, or visit our forum . Comtrol offers a 30-Day satisfaction guarantee and a 5-year limited warranty on all BroadPort 550 family products! Extended Warranty Available.